The EPA and the Army Corps of Engineers are backing a rule change that would better define bodies of water protected by the Clean Water Act. That could mean increased government oversight of streams and wetlands across Texas. In 2007, when crude oil spilled into Edwards Creek, a seasonally flowing stream in Titus County, the Environmental Protection Agency did not step in to demand a cleanup. But it wasn’t because it didn’t want to. The agency said at the time that though it believed the federal Clean Water Act gave it jurisdiction over the stream, that authority was too complex to prove. In an effort to clarify the EPA’s authority in such cases, the federal agency, in conjunction with the U.S. Army Corps of Engineers, proposed a joint rule last week that would better define the scope of bodies of water protected under the Clean Water Act. If finalized by the federal Office of Management and Budget, the rule change could allow for increased government oversight of smaller bodies of water in Texas and across the nation, including intermittent streams like the one in Titus County. 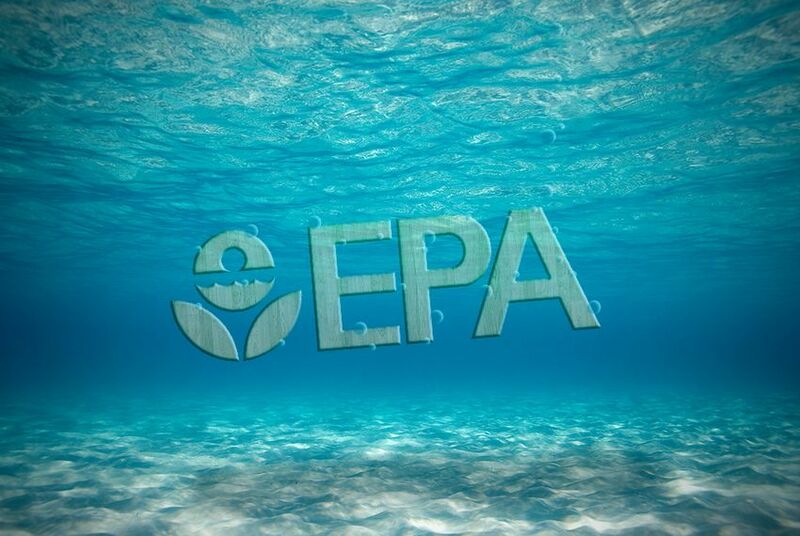 The 1972 federal Clean Water Act was an effort to reduce pollution in the nation’s waterways. The act made it illegal to release any pollutant into “navigable waters of the United States.” But for the past four decades, the definition of this six-word phrase has ebbed and flowed — and often plagued the EPA. In 2000, when the Chevron Pipe Line Co. spilled 126,000 gallons of oil into a creek in West Texas, no water was flowing in the tributary. When the federal government sued the company under the Clean Water Act, though, a federal trial court judge ruled in the company's favor, arguing that the oil had not reached “navigable” water. The EPA said that the clarifications the agencies are seeking do not add new bodies of water to its jurisdiction, they just explain that both wetlands and intermittent streams that often dry up in the summer are included in the act's definition. But opponents of changing the federal rules say the EPA is overstepping its bounds, and that it could damage private property rights in the process. “This potentially could allow for the federal government to require a permit to do anything on your land,” said Steve Pringle, legislative director of the Texas Farm Bureau. The Farm Bureau Federation is one of 29 groups in the Waters Advocacy Coalition that is lobbying against the EPA changes on behalf of the construction, mining, agricultural and energy interests. Before 2001, the EPA and the Army Corps of Engineers believed the Clean Water Act protected almost all of the waters in the U.S. But in 2001 the U.S. Supreme Court ruled that the Clean Water Act did not protect an abandoned sand and gravel pit that had evolved into permanent and seasonal ponds — and that a solid waste agency wanted to fill. A 2006 Supreme Court case in which a plaintiff filled 22 acres of Michigan wetland with sand in preparation for the construction of a mall only added to the confusion. The plaintiff argued that since the land was 20 miles from a navigable waterway, he wasn't breaking the law. The high court did not reach a majority opinion and remanded the case to a lower court; in that case, the Supreme Court justices each wrote individual opinions of what constituted "navigable waters." But Mark McPherson, a lawyer who regularly represents oil and gas companies and developers, alleged that the EPA's calls for clarity are masking the agency's desire to advance its own agenda. McPherson said that if the rule changes go through, they will combine many complex legal and technical issues, creating even more work for lawyers. He said the rule changes would be costly and time consuming because developers and property owners will have to hire hydrologists and lawyers before starting basic projects. “The bottom line is it’s a major overreach,” he said. The EPA has included in its proposal an exemption for routine agricultural practices, including farming, ranching and forest preservation. This means those practitioners will not have to get a permit to plow, seed, cultivate, do minor drainage or harvest their crops. Before any changes take effect, the EPA will open a 90-day comment period on the proposal, and the science behind the agency's plan will be peer reviewed by an independent advisory board. If the Office of Management and Budget approves the changes, they would take effect at the end of 2014 or the beginning of 2015.